How to Convert iTunes DRM M4V to FLV? How to Convert DRM Protected iTunes M4V to FLV? Have you ever had trouble in uploading your iTunes videos to some video sites, such as YouTube, for sharing on line? Have you ever met problem while attaching your iTunes videos to email for sharing with your friends? I guess most of you have met such problems. Why? Because iTunes videos are encoded as M4V files, which are tightly protected by Apple FairPlay DRM. To solve this issue, this article here focuses on the problem of sharing your iTunes videos online by converting the iTunes DRM M4V to FLV. 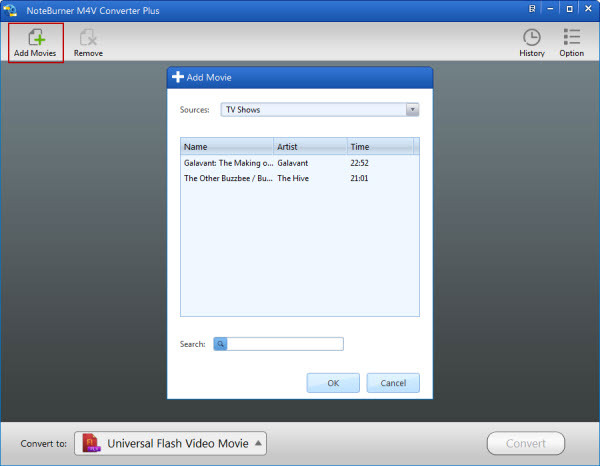 FLV is the file extension of Flash Video, which can be embedded within SWF files. 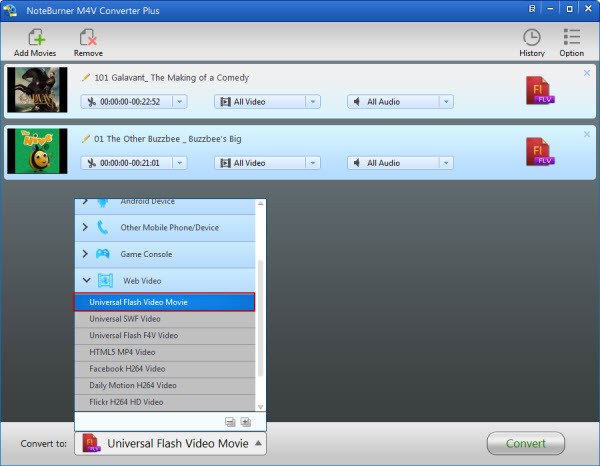 With Flash Player plug-in installed, FLV videos can be watched on web browsers. FLV is now widely used to carry online video contents. To convert M4V videos to FLV format, you can seek help from the reliable and easy-to-use NoteBurner M4V to FLV Converter which is a professional and powerful M4V Video Converter. It can convert m4v videos not only to FLV formats, but to MP4, MOV, AVI, WMV, ect. With this program, you can convert M4V to FLV easily with only 3 steps while keeping lossless quality. Click the following button to have a free try. Formats: Convert iTunes DRM-ed M4V videos to multiple video & audio formats, such as FLV. Strip: Remove DRM from iTunes M4V purchased and rented videos, thus to convert to to DRM -free formats. Speed: Convert iTunes FairPlay DRM protected videos to any format at fast speed. Quality: Remove DRM and convert iTunes videos with 100% lossless quality kept. Here we will teach you how to convert iTnes DRM M4V to FLV on Windows. Of course, you can also convert M4V to FLV on your Mac. In such case, please download NoteBurner M4V to FLV Converter for Mac which fully supports the latset version of iTunes and Mac OS X EI Capitan. A PC with Windows 10,8,7,XP or Vista. Import the M4V videos you have downloaded from iTunes Store to the NoteBurner iTunes M4V Converter. Click the "Add Movies" button on the upper left and choose the video you need to convert in the pop up dialogue box. To convert M4V to FLV, please choose output format as FLV by clciking "Web Video" > "Universal Flash Video Movie". You can change the video bitrate, size or even clip the part you need to convert. Now you can press the "Convert" button to start converting M4V iTunes movies to FLV Format. 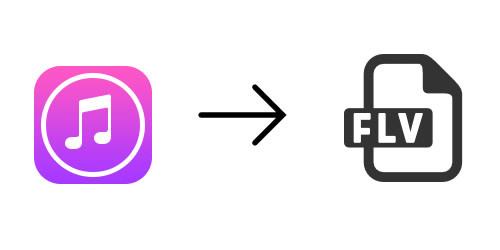 After it is done, you can share them to your friends via email or upload them to YouTube or other online website freely! What's next? 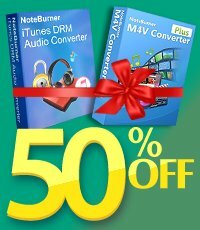 Download NoteBurner iTunes M4V to FLV Converter now!